It’s a new year and so that means it’s time to try new things. So, why not take up a new sport. While many people think that Southern California is just about sun and surf, it’s also got some fantastic mountain resorts. Head up to Big Bear Lake, Calif., for some of the area’s best snow sport opportunities. To kick off the New Year, Big Bear Mountain Resorts is inviting beginner skiers and snowboarders to come up and enjoy the snow during the month of January with free rental equipment for anyone who purchases a beginner lesson package. The offer is valid any day during the month of January, excluding holiday periods. Packages must be reserved at least one day in advance online at www.bigbearmountainresorts.com or by phone at 909-866-5841. For the little tykes there is Little Bear Camp and Little Bear School at Snow Summit, where kids as young as 3 years old can get started on the bunny slopes. At Bear Mountain there is Riglet Park, where kids from 3 to 6 years old are introduced to snowboarding on miniature park features, using Burton’s innovative Learn-to-Ride Technology. And why not make it a family affair. The ski resorts offer adult classes too. The classes are for persons age 13 and older. Some adults that have skied before but who want to want to learn how to snowboard can do so through the adult lessons. 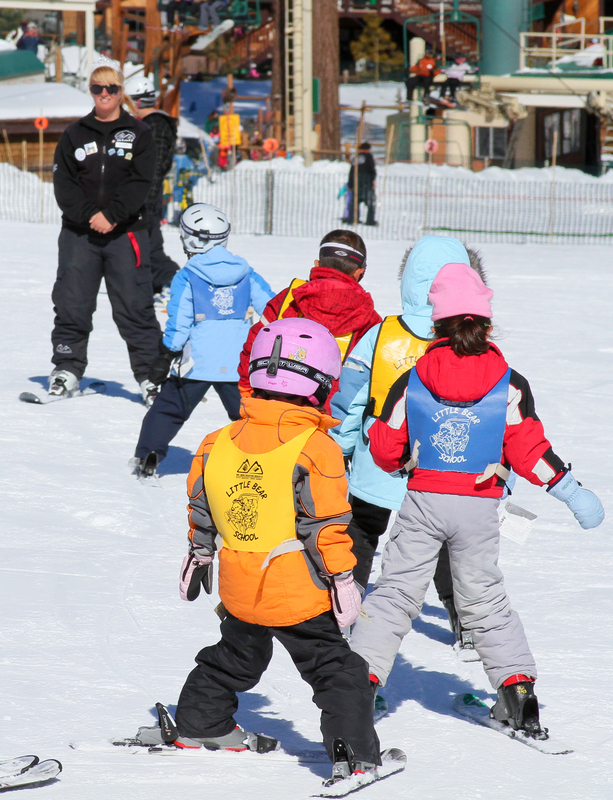 Big Bear’s qualified instructors will show anyone who wants to learn the ropes of having fun on the slopes. One of the great things about learning a new snow sport is it is never too late to learn. Awesome! I should bring my family here, I’m sure they’ll gonna like it!